Peace of mind is usually the first thought that most property owners have when they acquire the knowledgeable services of property management companies. By obtaining a firm to handle all aspects of property management on your behalf, you’re able to have more time away from the day-to-day grind of tending to your homes, apartments, or commercial buildings. And with the right Montreal property management company assisting you, there are also possibilities to save money overall. This is especially key for owners of multiple properties. Experienced property managers know how to finesse tenants to increase the rate of on-time payments. They keep year-by-year earnings up by working to ensure consistent payments are submitted on time, without delay. Limiting externalities is one of the underrated profit drivers for property management. Property management companies can then focus their entire professional effort on monitoring their assigned buildings. They’ll notice issues that need tending to—such as progressive structural problems or complaints between tenants—and address them well before they explode into major costly emergencies. With knowledge of the Montreal tenant law as a top tool in their arsenal, the best property managers have the most informed perspective on when it’s time for legal action to be taken—sooner rather than later, due to their hands-on position in managing the property. It’s important to remember, however, that property managers are not lawyers. They are well-versed in the local requirements for handling tenants, from proper protocol to announce showings, and how to relay warnings of possible eviction if rules and regulations aren’t followed. 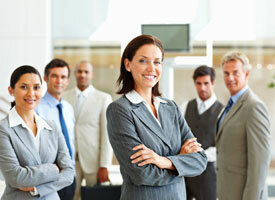 Property managers provide a consistent presence that tenants appreciate. And when tenants are happy, that means owners have more room to provide market prices to satisfy long-term clients, rather than depending on turnover to allow reasonable pricing increases. In economic terms, rent refers to passive income, not hands-on building management labor. Many people buy properties because they want to secure decent, stable investments, but property management is more than an extra source of income. Properly managing—and maintaining—one building or several is a great deal of work, time, and effort. By opting to outsource property management to professional experts, you’re permitting yourself to be able to focus on creating new opportunities and experiences that are unrelated to the day-to-day tasks of your building and tenants needs. The skilled professionals at T.R.A.M.S Property Management are the ones to call for all your property management needs. With their assistance, you’ll have more time to focus on other endeavours. Contact them today!